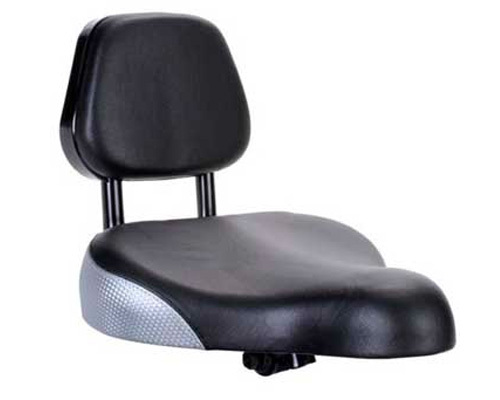 Our super comfortable seat is really wide and has heaps of padding, the backrest makes long distance riding a breeze and provides valuable support for elderly and those with disabilities or problems with the lower back. 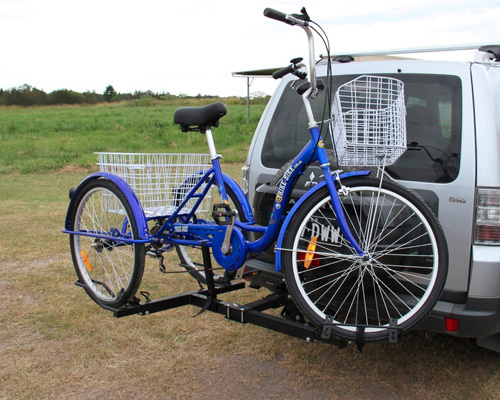 Fits all trike and bike models with a standard seat post size. NOTE: Stock varies between all black colour and black and silver as shown.